Looking for ways to make your back-to-school budget last? You've come to the right place! 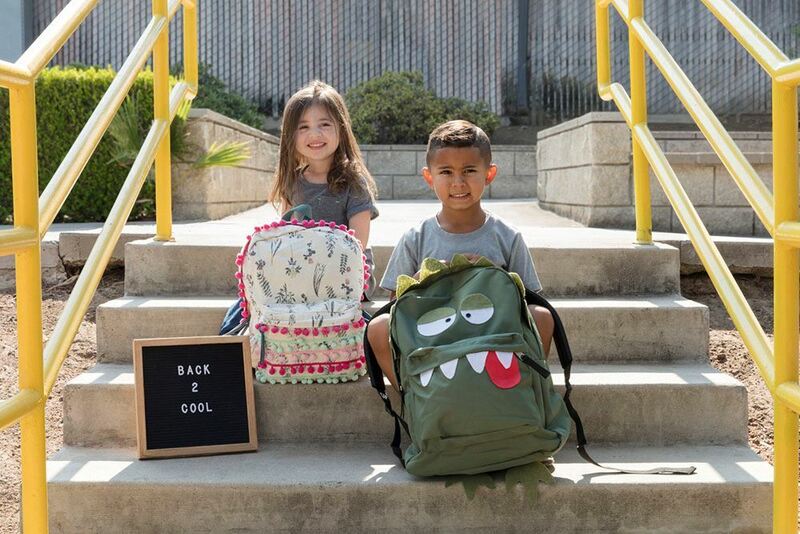 Make old backpacks new again - or personalize simple styles without breaking the bank with these backpack makeover ideas from Aleene's. 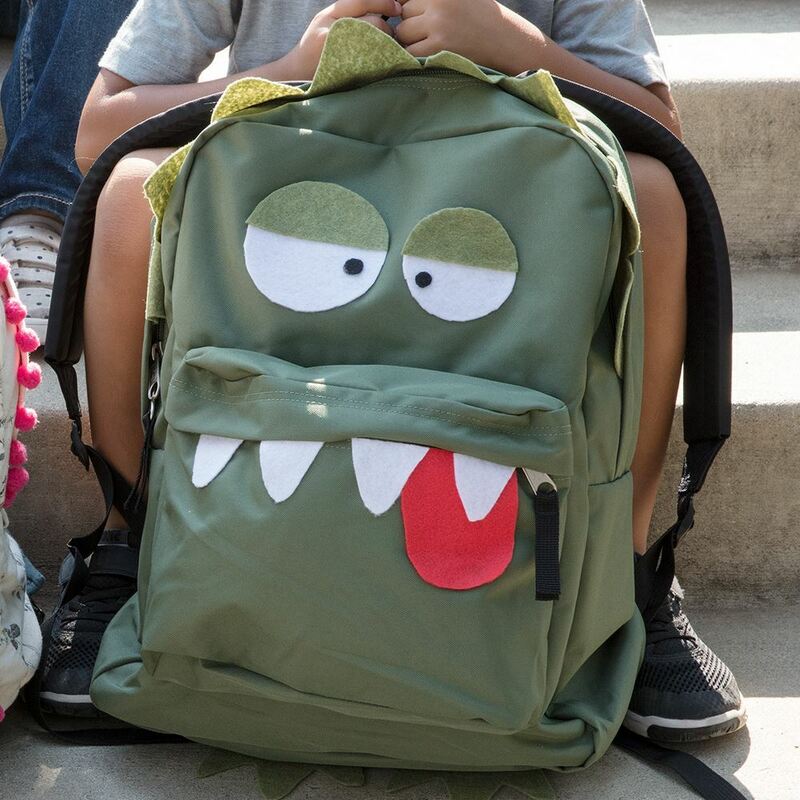 Whether you add colorful trims or create a fun monster-themed design, get the kids ready to head back to school in one-of-a-kind style with Super Fabric Adhesive - no sewing required! 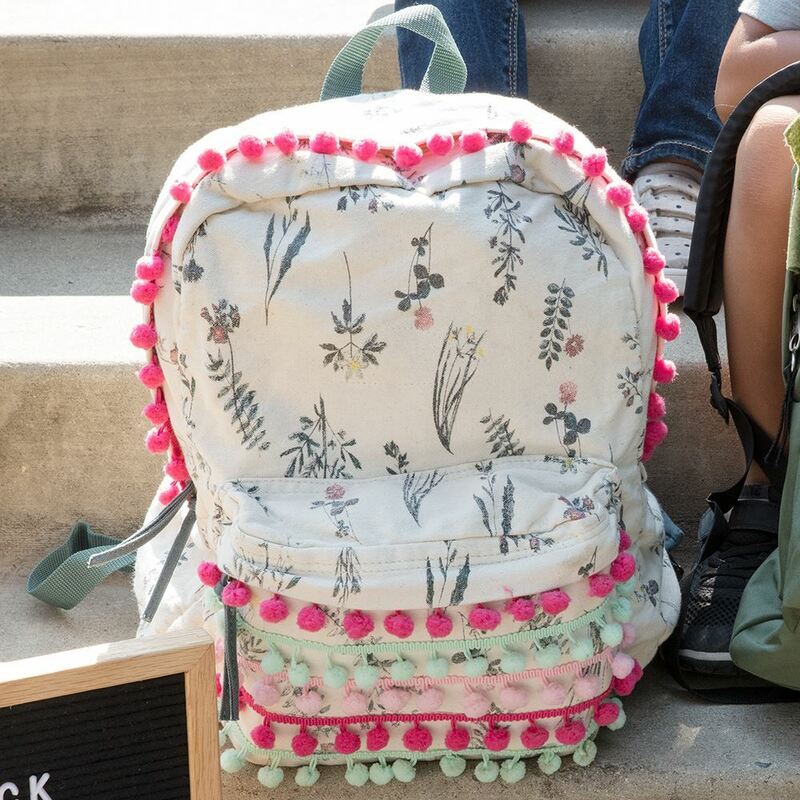 Cut pom-pom trim to fit the length of the top of the backpack and glue with Super Fabric Adhesive. Use clothespins to hold the trim together until dry. Cut smaller pieces to fit the length of the small front pocket and glue using super fabric glue. Cut two circles from white felt one slightly larger than the other. Cut four medium-sized tringles. From green felt, cut two rows of triangles for the monster scales. Cut out eyelids and feet. Cut two small circles from black and tongue from red felt. Glue the eye pieces together and glue to front of backpack. Glue the tongue just underneath the small pocket zipper then glue the teeth over tongue. Glue the feet to the bottom of the backpack, use sewing pins to secure while drying. Glue the scales to the top flap of the back pack that covers the zipper. Use clothespins or sewing pins to secure while drying.